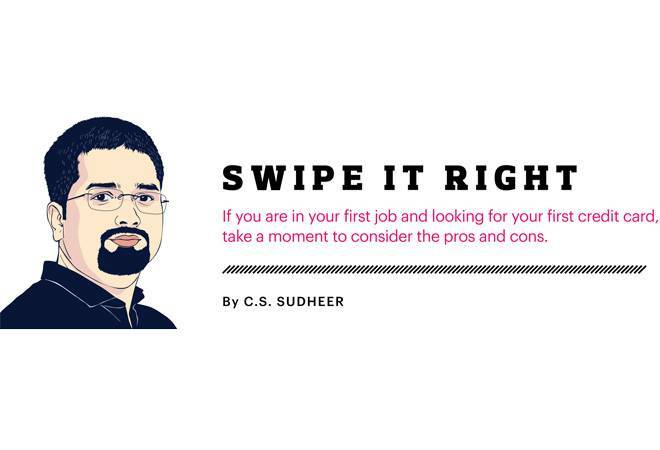 If you are in your first job and looking for your first credit card, take a moment to consider the pros and cons. In her book Who me, Poor?, journalist Gayatri Jayaraman wrote about a young marketing executive who bought a car with her first salary, and between rent and loan payments, she was starving. If you have secured your first job and work for a reputed company, banks and credit card companies will be willing to offer you credit cards, thus giving you access to easy money. You could be earning well, but let us face it - the money is never enough! You can use credit cards for financial emergencies and also for regular spending. But is that a good idea? You might have heard of a friend who has fallen into a debt trap and how he/she blames the credit card for the situation. This begs the question if you should get one in the first year of your work life. Go ahead if you are good at money management and feel confident about making timely repayments. You can even get a secured credit card, which will be secured against assets like a fixed deposit and will charge a low rate of interest. If you fail to pay your dues, the FD will be liquidated for payment. Here is a quick look at the pros and cons before you make up your mind and get your first credit card. Deal with emergencies: During the initial years of your career, money is in short supply. A credit card can be of great help when an emergency strikes. Buy expensive stuff: Many young people earn good salaries. It could mean a high credit limit on the card, depending on your income and usage. A high credit limit will help you buy some costly stuff which you may not be able to afford otherwise. Grace period helps: When you are using a credit card, you get a grace period, also called interest-free period. No interest is charged if repayments are made within the grace period. Benefit from reward points: Credit cards offer reward points which can be accumulated and redeemed at a later date for gifts and cashbacks. Build credit history: You can easily get a secured credit card even if it is your first job. Making timely repayments builds a good credit history and your credit score goes up. It will help you raise large loans in the future such as a home loan. Try add-on card: A supplementary credit card, also called an add-on card, is used to get additional credit against the existing card. If you are in your first job and feel that you cannot handle a credit card on your own, one of your parents can get you an add-on card provided he/she holds a primary credit card for which he/she is solely responsible. If the primary card has a credit limit of `3 lakh, the amount will be split between the primary and the additional cards. Your parent will also know how much you are spending and will make sure that you stay within the credit limits. High interest rates: If you cannot repay within the grace period, you will be charged an interest of 24-36 per cent per year. A youngster in the first job may fail to make repayments on time and land in a debt trap. Hidden costs: Credit cards have hidden costs, including joining, renewal, processing and late payment fees. Also, repeated late payments will result in penalties and eventually, a poor credit score. Minimum payment due: Instead of paying the entire amount, many youngsters pay the minimum amount due, which means they are paying a small percentage of the outstanding balance. It may sound like a good idea at the time, but it only helps you avoid late payment fees while the actual debt and interest pile up. Remember that high interest is charged on the outstanding balance and you need to stay away from the debt trap.